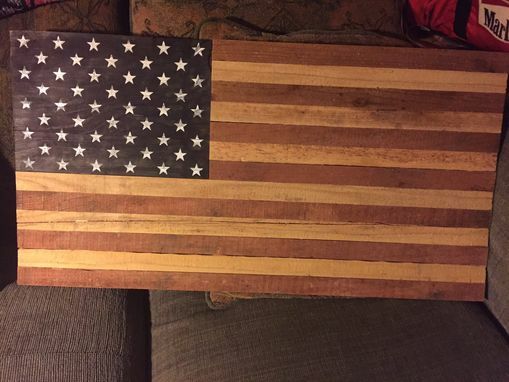 The flag is made with wood aged over 30 years in the sun. Apprx. 16 x 30 x 3/4. Limited supply. 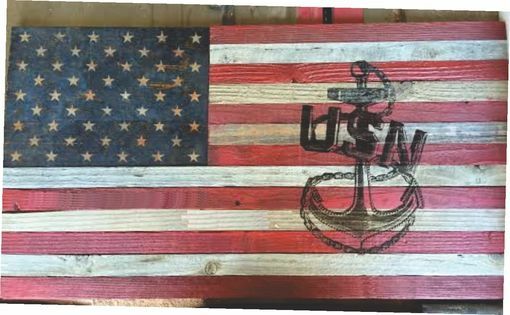 It is then mounted to 1/4" plywood backing and ready for hanging. Left natural so as not to ruin its natural condition.